As the strike by Canadian foreign service officers drags on, some international students cannot arrive in Canada in time for the new school term due to the backlog in visa applications, reported the Globe and Mail. Not only does the prolonged strike cause inconvenience to students and universities, it can also damage the reputation of Canada as an ideal country for higher education, warns FWCanada. We're just calling for a resolution to this dispute as soon as possible. The Professional Association of Foreign Services Officers (PAFSO) union called for the strike in May this year, demanding for wage increase for its allegedly underpaid members. 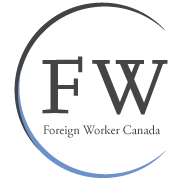 Last month, the Treasury Board President Tony Clement accepted the union's offer to enter a binding arbitration after receiving an email from the union's president Tim Edwards, according to a previous press release by FWCanada. However, there is no sign that the labour dispute is ending any time soon. "That's a real possibility that there will be students missing in the ranks," said Andre Costopoulos, Dean of Students at McGill University. "Because of this particular issue with international students this year, we're making special accommodations so that students in any program can start in January." Costopoulos advises students to wait and begin their studies in the next semester if they are more than two weeks late to avoid serious consequences of falling behind in classes, as reported in CBC news. Costopoulos further points out that for some students, the wait time can be several months, but for others, it can be as long as one year. Moreover, the visa delays can also affect admission of prospective students from abroad next year, as students who defer their school year limit the availability of admission spots. "We're working on adjusting our level of offers that we make [for next year]," said Costopoulos. The Globe and Mail reports that student visas have been prioritized in Canadian embassies abroad, and most Canadian universities have given their international students a grace period--to delay registration and reserve space in residence on campus. Nonetheless, the damage on those universities may have already been done. "Across the country, Canada is world renowned for attracting international talent. Now students from around the world are potentially...having to go look at other places to study, such as the UK or Australia," said Jonathan Champagne, national director of the Canadian Alliance of Student Associations. Champagne states that international students contributed approximately $8 billion to the Canadian economy in 2010, which means the strike can badly hurt the education sector. He further suggests that as international students choose other destinations for their studies, the reputation of Canadian higher education can be tarnished. The tourism sector has echoed similar concerns. The Tourism Industry Association of Canada has put out an estimate that the strike will cost the industry $280 million in losses if a timely resolution is not reached, reported the Toronto Star. The association is concerned that foreign tourists, like international students, are likely to alter their travel plans due to the strike. "We're just calling for a resolution to this dispute as soon as possible," concluded Champagne.